As the cunning, sophisticated Director of the Nanami Paranormal Investigation agency, Asagi Nanami strives to cleanse the world from the rotting stench and presence of Freaks. He appearance deceives anyone whom he encounters with, for in actuality he is much older than his young appearance presents. 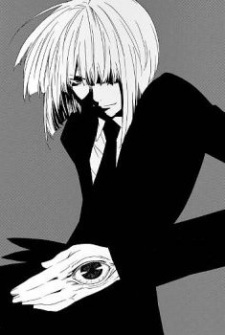 At the moment of "battle" per se, he unleashes Izumi that comes in the form of an eyeball protruding from his stomach. This "Ancient" - as Izumi is often called - controls Asagi's powers in order to keep him under control and to avoid a massacre that may come forth in a battle.